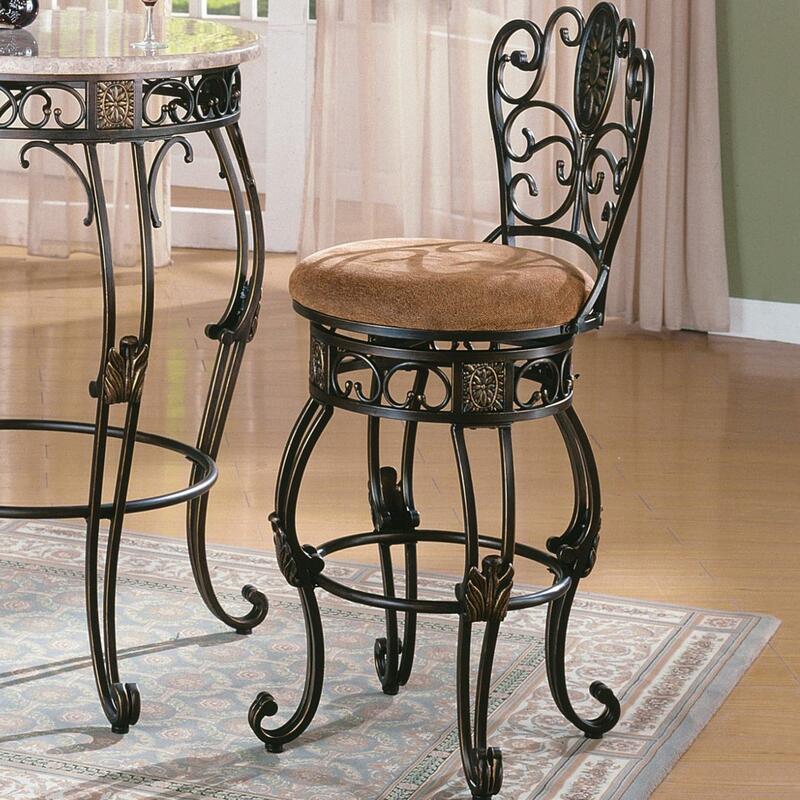 Create functional and charming seating in the bar room in your home with this metal frame bar stool. 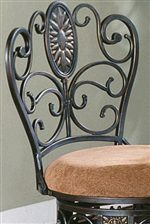 Featuring cabriole legs, and uniquely shaped back design, and plush upholstered seats, this bar chair is a perfect seating addition to your home. The Jasmine Bar Chair by Rooms Collection One at Rooms Furniture in the Houston, Sugar Land, Katy, Missouri City, Texas area. Product availability may vary. Contact us for the most current availability on this product. Create a functional and quaint bar grouping in your home with the Jasmine collection. Featuring metal frame construction with upholstered seats, these sturdy pieces are also made to be lasting but comfortable. With uniquely ornate details and great functionality, the Jasmine collection will add a multitude of positive aspects to the bar in your home. The Jasmine collection is a great option if you are looking for Traditional furniture in the Houston, Sugar Land, Katy, Missouri City, Texas area.